Dr.Thavorn’s primary field of research are health economics, health technology assessment and health equity. Her goal is to combine her knowledge and experience in these areas to improve population health outcomes; reduce health care disparities in vulnerable and marginalized populations; and efficiently allocate health care resources. 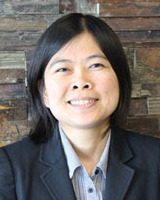 Examples of her research projects include: the economic impact of multimorbidity in Ontario; the impact of the maximum quantity policy on prescribed drug expenditures; economic burden of HIV/AIDs in Ontario; and cost-effectiveness analysis of health care interventions such as pharmacist-led smoking cessation, diabetic retinopathy and glaucoma screening, and routine eye examination. In addition, she has involved in systematic review and meta-analysis projects, for example a systematic review of fall prevention programs in elderly population and a systematic review of turmeric in the treatment of digestive disorders.